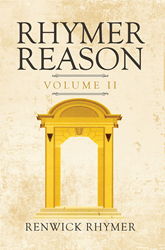 Recent release “Rhymer Reason Volume II” from Page Publishing author Renwick Rhymer is an entrancing book that holds the wisdom and wonder of life’s happenings and mysteries. Renwick Rhymer, a passionate poet from the Virgin Islands, has completed his new book “Rhymer Reason Volume II”: a stirring collection of poems that delve into different aspects of life, including friendship, love, and family. Published by New York City-based Page Publishing, Renwick Rhymer’s pleasing book is an impeccable masterpiece and is an art form that readers can thoroughly enjoy and ponder upon. Readers who wish to experience this fascinating work can purchase “Rhymer Reason Volume II” at bookstores everywhere, or online at the Apple iTunes store, Amazon, Google Play, or Barnes and Noble.